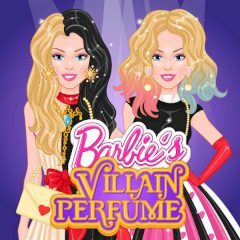 Villains also use perfumes, but they smell another way. Let's see if you can create such perfume! Villains inspire Barbie in some way. She wants to create a new perfume, but she needs to know what ingredients they use. Play the game and discover.